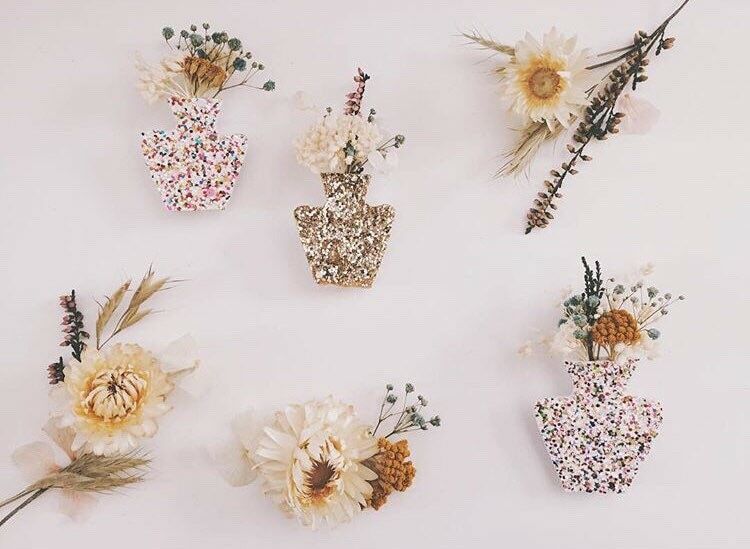 In collaboration with the sweet Bonnie & Wild floral artist and designer plant, we imagine a pretty brooch combines our two worlds. Glitter and stabilized flowers entwined form vase small or medium, recalling the Terraza pattern in gold glitter or even white. 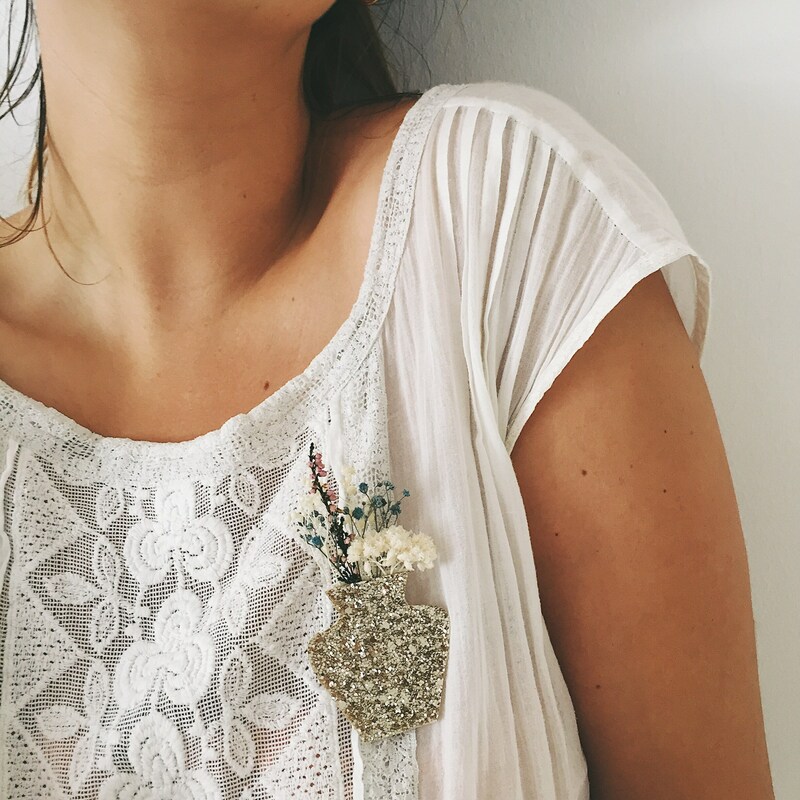 To wear in winter and summer, this little PIN will bring softness and freshness. 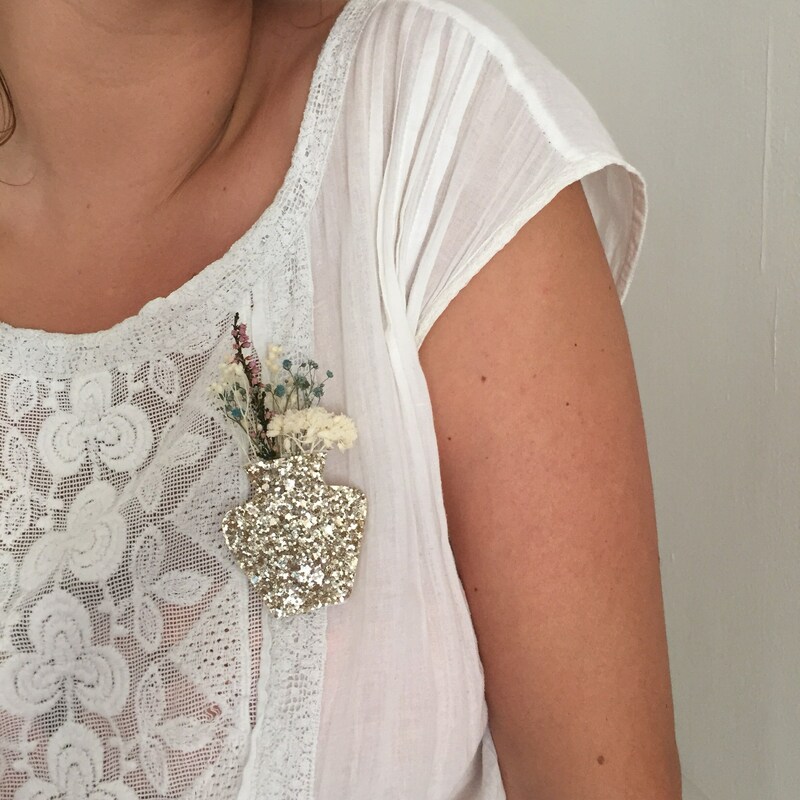 Made entirely by hand, each flower was embroidered carefully English cotton yarn.